Moving to Perth WA may be one of the best decisions you ever make but without the right assistance on the ground, it can be an expensive and emotionally draining experience. Perth is a transient city with people relocating from interstate and overseas to take advantage of the continuing mining boom. Whilst Perth is a city on the move, there is a shortage of good properties available for rent. The homes that are on offer, usually get snapped up at the first home open with often over thirty people at one inspection. In this competitive market it is wise to come well prepared. Following are some of the questions most frequently asked by our clients who are relocating to Perth and how New In Town may be able to assist you to find a new home. 1. WHAT IS THE PROCESS FOR LEASING IN PERTH? The lease application process is rather involved. It is advisable to view an "offer of option to lease residential premises" form available from REIWA (Real Estate Institute WA). This will outline the questions that you will be asked to answer when applying for a home in Perth. The forms may vary from agency to agency however, the questions will be the same. Only ever complete an “Offer Of Option to Lease Residential Property” and pay the option fee if you are sure that you want to enter into a lease with the owner for the premises, or hold the premises for a period. The form "OFFER OF OPTION TO LEASE RESIDENTIAL PROPERTY" is not the Lease. To inform the owner of your details, and your requirements for the lease. To inform you of the money that is required to be paid prior to taking possession of the premises. To make you aware of the terms of the lease (including special conditions) associated with the lease if the offer is accepted and the option is accepted. If your offer is accepted, to create an option to lease the premises. If the owner accepts youroffer, then the owner gives you the option to lease the premises. You will have two (2) business days from the time when the owner's agent informs you that your offer has been accepted in which to make a final decision if you want to enter into the lease. This is a holding period. If you enter into the lease, then the Option Fee will be credited to the rent payable. If you decline theopportunity to enter into the Lease during the two (2) business days, then the Owner will keep the Option Fee. 2. WILL I BE GUARANTEED TO GET THE PROPERTY THAT I APPLY FOR? You may not always be successful in your application. There is a lot of competition for properties and ultimately, it is the owner's decision to choose the tenant. As relocation agents, we are able to assist you to make sure that the owner has all the necessary information so that the right decision can be made. 3. HOW LONG WILL PROCESSING THE APPLICATION TAKE? Processing of applications usually take 24 hours however, the process can sometimes take longer. We will get back to you with an answer as soon as we hear back from the leasing agent. 4. IS THERE ANY MORE PAPER WORK REQUIRED? The application form is not a lease agreement. You will be required to meet with the agent to sign the lease agreement, should you be the successful applicant. 5. WILL I NEED TO PAY A BOND AND RENT IN ADVANCE? If you are successful with your application, you will be required to pay 4 weeks rent for the bond and 2 weeks rent up front prior to the agent handing over the keys to the property. 6. WILL I NEED TO PAY A PET BOND? Pet bonds can be up to the amount of $260. 7. IS THERE A PROCESSING FEE OR OPTION FEE FOR MY APPLICATION? Most agencies require an “Option Fee” to process your application. This is equal to one week’s rent. The agency will usually require the amount to be paid by cheque, cash, or sometimes by direct deposit. If you are successful with your application, you will have the option fee deducted from the first week’s rent. If you are unsuccessful, the total amount will be refunded to you. If for whatever reason you change your mind during the application period, you will be required to forfeit the option fee. You will need to provide details of your Australian bank account for return of the funds. 8. DO I NEED TO ATTEND THE OPEN HOME TO INSPECT THE PROPERTY IN PERSON? There are two ways you can have a property inspected. You can either view the property in person, or have an authorised person such as a relocations consultant, view the property on your behalf before you can submit an application. It is important to remember that you are agreeing to lease the property in the same condition that it was inspected. 9. WHO CAN I USE AS A REFEREE? These can be personal referees from anyone including family members who have known you for a period of 5 years or more. Referees will need to be prepared to speak on your behalf and to confirm that you are of good character. 10. WHAT IF I HAVE NEVER LEASED A PROPERTY BEFORE BUT I AM A HOME OWNER? You will be required to provide the name of your current owner or managing agent to whom rent is paid. if you are a home owner, you will need to provide ownership documentation. 11. DO I NEED TO PROVIDE CONFIRMATION OF EMPLOYMENT? If you are self funded, you will need to provide details of your ability to pay rent. 12. WHAT IDENTIFICATION IS REQUIRED? Our relocation consultants have an excellent rapport with many of Perth’s property managers. As members of the Real Estate Institute of Western Australia (REIWA), we are at the forefront to provide several accommodation solutions. We receive private leasings and listings from property managers on a regular basis, often prior to them being advertised. Clients say they feel secure in the knowledge that we are there to act on their behalf when making this critical decision. 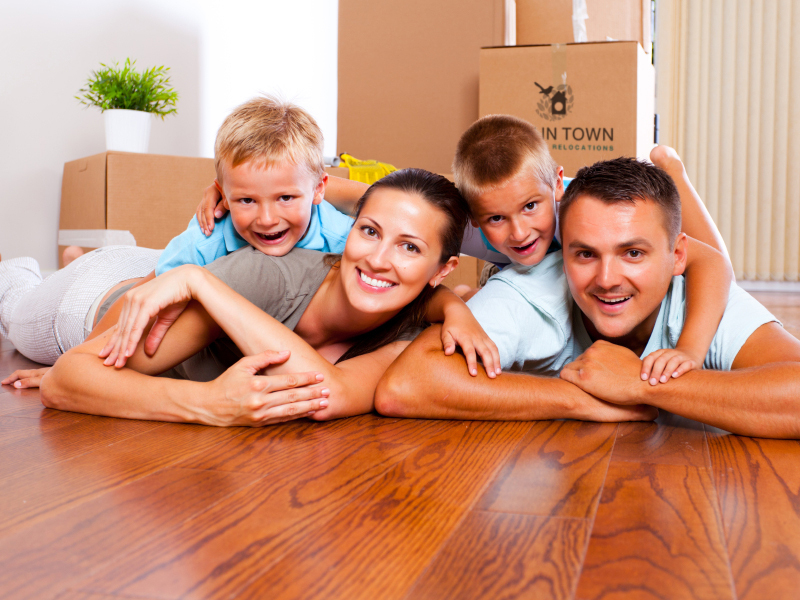 Rely on New In Town to assist with this vital aspect of your relocation. We will pick you up from your nominated accommodation. Accompany you on a local orientation including housing styles and local amenities. Provide suburb profile of selected areas. Source, inspect, and prepare of a short-list of properties we believe are suitable for you. Assist with completion of tenancy applications (including tips on how to apply for a property in WA). Accompanying you or inspect the property on your behalf. Negotiate terms and conditions of the lease. Arrange all of your utility connections. Assist will anything out of the ordinary. 1300 912 112 or click the link below.